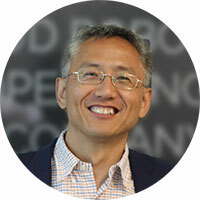 Dr. Robert Zhang, is Co-Founder and President of CloudMinds Technology. Prior to co-founding CloudMinds, Robert was the Head of Service Strategy and Operations for Samsung Telecommunications America. Previously, he was Vice President of Product Management at Irdeto. He served as Vice President of Product Development at the Joint Innovation Lab. Prior to these senior executive roles, he was a Senior Program Manager for New Products Introduction, XBox 360 at Microsoft and as IPod Operations Program Manager and as Senior Engineering Scientist for CPU Software at Apple. Robert served as Chairman of the Board and President of the Silicon Valley-China Wireless Technology Association and as President of the Silicon Valley-China Wireless Technology.